In the field of hostile conditions, outer space is often considered the epitome of harsh environments. However, it’s not necessary to travel so far in order to locate situations with extreme conditions such as high temperatures (like an active volcano), freezing cold temperatures (for example arctic missions), humidity, high pressure levels (like an oceanic trench), reduced accessibility (in pipelines for example) or every risk associated with CBRN (Chemical, Biological, Radiological and Nuclear). To begin with, let’s talk about CBRN defence and, more precisely, how unmanned defense robotics can be profitable, even essential, to human beings. First, it can be used to reduce human labour (because it is too dangerous and/or expensive). Then, a robot can be useful to achieve some tasks that are just impossible for a human operator to complete. This kind of application can take place in an accidentally contaminated scenario (like a nuclear disaster), but also in an intentionally contaminated scenario (like a terrorist act or the use of biologic weapon). In short, the more the environment presents a threat, the more unmanned specialised robots come into play. 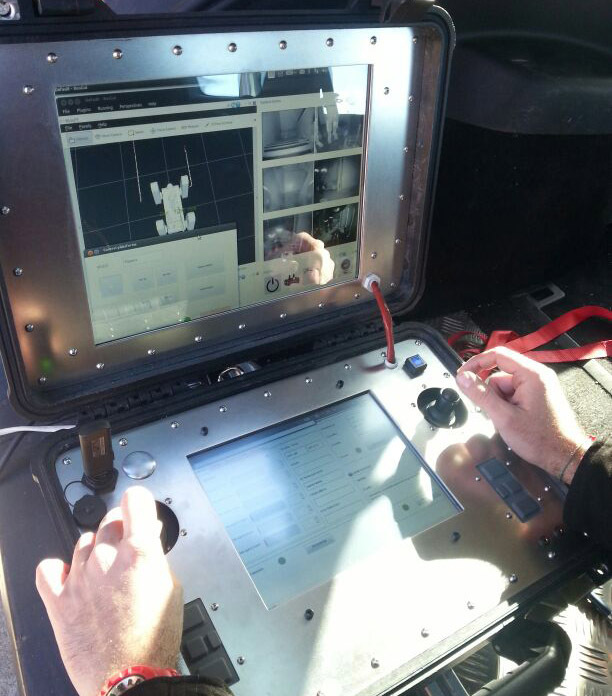 The pictures accompanying this article show the RESCUER CBRN robot, developed by Robotnik, in its two kinematic configurations, and the tests done during a CBRN intervention mission with real radiological samples for the Spanish UME (Military Emergency Unit). The most remarkable capability of this platform, besides its high mobility, is that it’s been designed for decontamination, i.e. 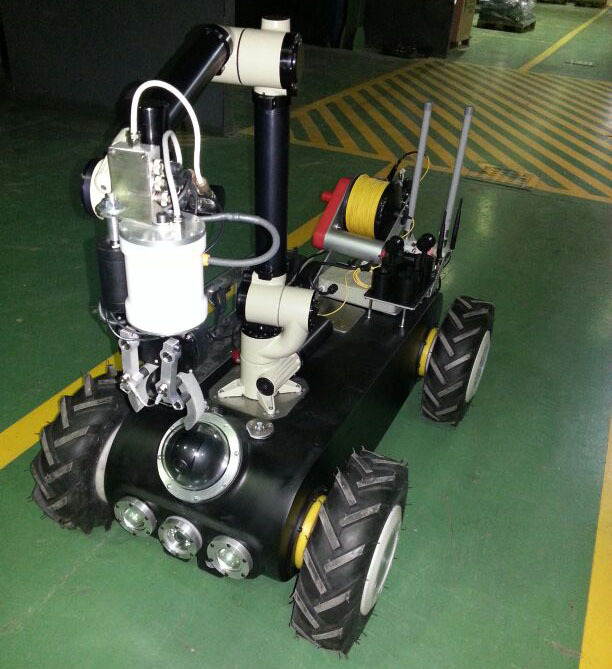 the complete mobile manipulator is IP67 waterproof. There are also some foreseen and planned events where specialised robots in CBRN environment have a role to play. For example, in the case of a nuclear reactor dismantling, using a robot presents real advantages over sending human operators to do the work. Assuming that a human would be allowed to operate in such a dangerous environment, without hazard to his life, this option would be very tiring in full protective clothing, time-consuming, dangerous and expensive. During the European Robotics Forum 2016, Thomas Vögele, from the DFKI Robotics Innovation Center in Bremen, and Joël Vanden Bosch, from Cybernetix, presented some concept strategies and lessons to develop a robot suited for harsh environments. In order to improve the reliability, it’s very important to start from scratch with a new simple design concept, and with intrinsically robust technologies instead of working from a conventional model without many improvement possibilities. In the same way, the hardware and software, even if it has been tested many times, should not be considered at its peak, but a part that must be improved in order to, amongst other things, make the robot smarter and more reliable. The team has to know to expect a very long development phase in order to reach the commercial stage, where a strong partnership is essential with the end-users in order to fully understand their needs and to be remain on the right track. Furthermore, a big effort is necessary in the test phase, which has to be thorough. Designing and sizing a robot in the classic way, with common materials or without redundancy for example, can be sufficient for a normal environment, but not for harsh conditions. That’s why it can be necessary to develop a full scale model to focus the trials and, if possible, to integrate risk management into the development strategy. 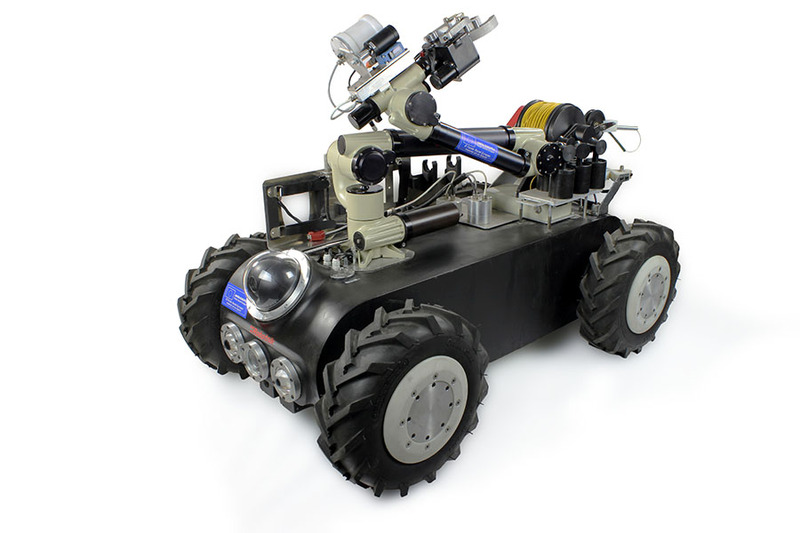 In fact, the reliability of the robot is even more important due to the high difficulty of a recovery mission in case of system damage in a hazardous environment. Finally, another key point in the development success is getting a training centre and a 3D virtual reality simulation room to constantly improve the system. Robotic intervention in harsh environments is a growing sector where health and environmental risks are a factor, and where an improvement is an absolute necessity. Likewise, it requires greater efforts, resources and the environmental knowledge to successfully develop a robot for harsh environments. But there’s no reason to hesitate to go with robots where humans don’t go anymore. This post originally appeared on Robotnik.